The tail of the Zero fighter (5289) shot down in Pearl Harbor near the hull No. 52 in Fort Kamehameha. Zero fighter from the “Akagi” aircraft carrier piloted first-class sailor Takeshi Hirano. 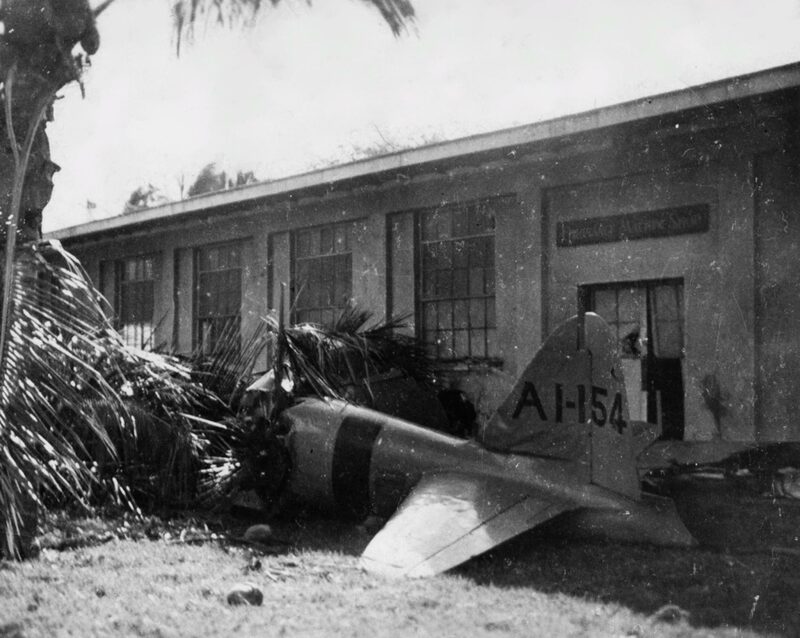 Hirano died in a plane crash, killing four US Army soldiers.